The 2014 UYWI ManHood Camp blew us away!! Over 400 young men gathered at Biola University for a life changing experience that would equip them to become the men that God created them to be. Workshops and sessions overflowed with youth eager to hear a word of hope. Too many youth are growing up in urban communities with deep “father-wounds” and desperately need to be equipped and envisioned toward a healthy view of manhood. 71% of all high school dropouts come from fatherless homes and 70% of youth in State institutions are from fatherless homes. 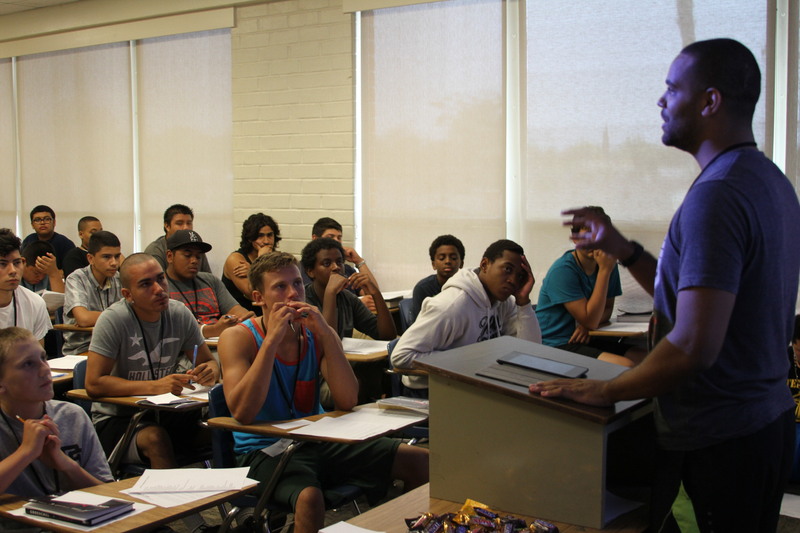 ManHood Camp is UYWI’s initiative to address the “fatherless” issue. It is designed to help urban young men gain practical wisdom, inspiration and tools for becoming the men God created them to be. Thank you for your prayers, gifts and support that helped to bring ManHood Camp to at-risk youth in our cities.